Big new talents – but do they really want to be comics? Is it comedy? Is it cabaret? Is it cobaret? 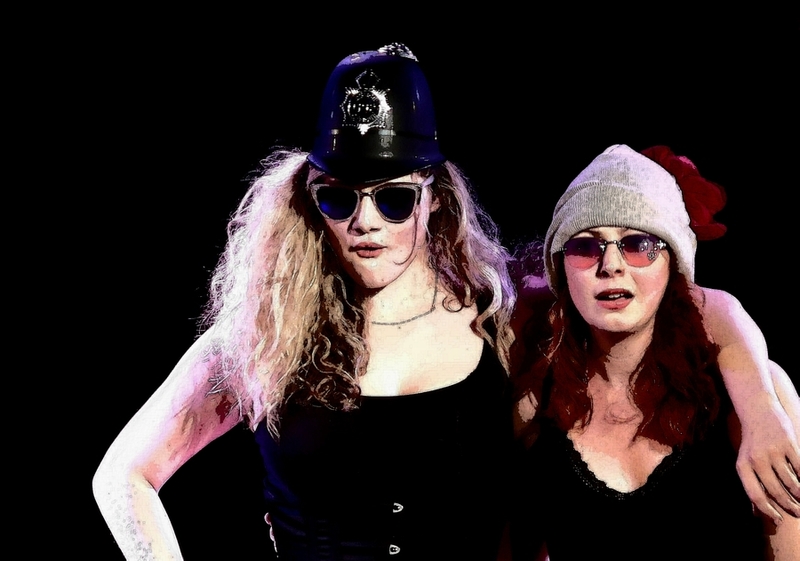 These are the questions that might leap to mind moments into Witt ‘n’ Camp’s Edinburgh debut, as they march on in corsets and fishnets, straddle the microphones and launch into a saucy anthem. Actually this talented duo’s voices are so ear-poppingly impressive, most people will probably just marvel at that, with just a casual wonder at how on earth they ended up in the comedy section. Comedy is a broad church, of course, and these confident stage-stealers—Charlie Howitt and Holly Campbell—offer something genuinely unique. Peppered throughout is hip hopera: glass-shatteringly operatic cover versions of rap bangers by Nicki Minaj and company. With pipes like that, music obviously crops up regularly, although their sheer anything-goes chutzpah elsewhere is also admirable, from breastmilk burlesque and practically-nakedness to dignity-free acrobatics. Honestly, legs have rarely been more akimbo. Howitt and Campbell are both trained actors who’ve shifted over to comedy, and you do wonder if they’ll be hanging around long before launching off into some other orbit. The more sedate sketches here mildly amuse, but are wildly outshone by the high-octane cabaret elements. If they do commit to comedy, you wonder if there’ll be enough solid material to sustain them when the initial wow factor wears off. You don’t want to end up like the impressionists, out there in the wilderness. After the big final number there’s a musical theatre-style standing ovation, which also highlights those less-enthused souls who just didn’t get it, at all. That’s showbiz.